From out of Detroit's diverse neighborhoods and network of city streets have emerged some of the world's greatest writers, musicians, entrepreneurs, thinkers, athletes and personalities. This book contains their stories. Not their biographies, but rather personal anecdotes reflecting on memorable moments from time spent in or around Detroit - a fascinating glimpse into each of their lives and experiences, many of which you might also share. So many legendary people have passed through Detroit that to include each and every person's contribution would have been an impossible task, so this book brings you individuals who come from a wide range of disciplines to create the unique fabric of our city. Some of them you will instantly recognize. Some you may not. Some were born here. Others moved here to build their lives and careers. Just like our river, our music, our cars, our industry, our struggles and our triumphs, these men and women have shaped our city and, in many ways, the culture of our nation and our world. Enjoy a conversation with each of them. 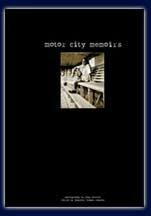 Motor City Memoirs is available through Barnes & Knobles online and Borders Book stores or by contacting us here at Lorien Studio. "impressive array of captivating photographs"
"A heartwarming gift for anyone that calls the Motor City home"
"The people in this book are some of the most creative and accomplished in the world"
"a beautifully crafted book that tells the contemporary history of the city through the eyes of those who have lived it."